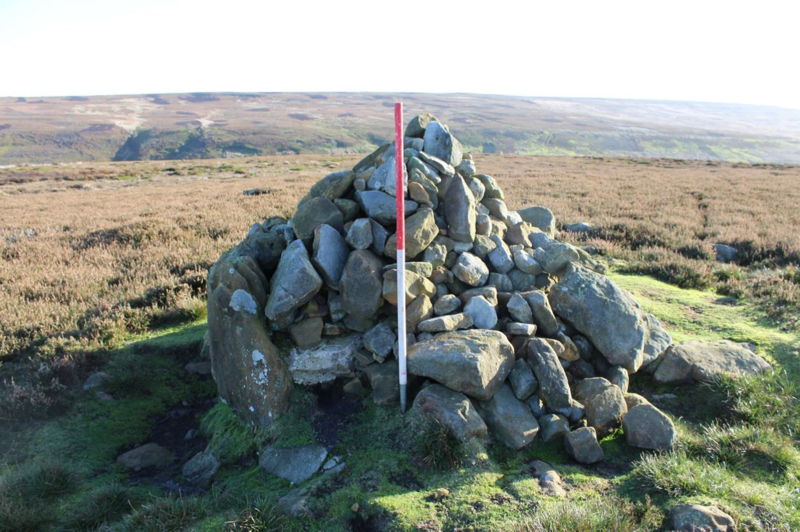 This entry was posted in Conservation, Funding, Historic Environment, Landscape, National Park, North York Moors and tagged Archaeology, Bronze Age, Historic England, Monument Management Scheme, Scheduled Monument, World War 2 by North York Moors National Park. Bookmark the permalink. 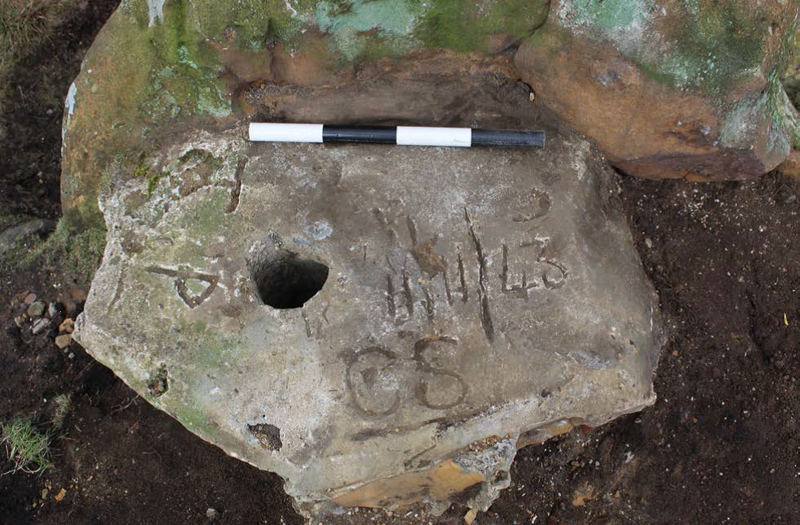 Has the burial mound been pillaged? Thanks for your comment. The burial mound is thought to have been excavated in the past although there are no known records. 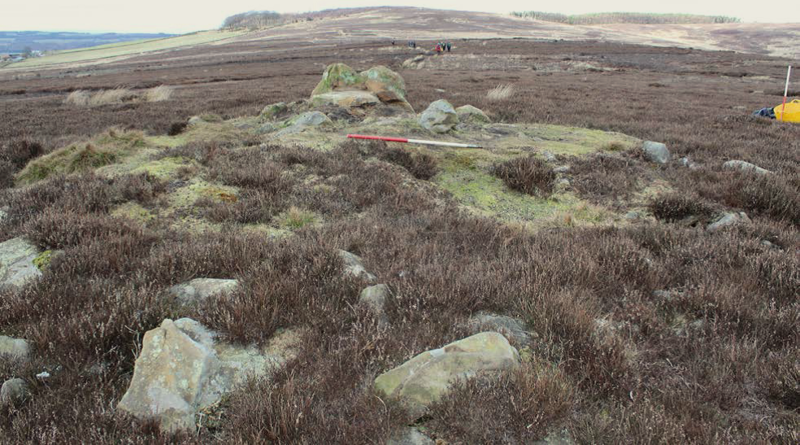 There is a hollowed area in the top of the burial mound from the centre out towards the eastern edge indicating the position of the excavation, it is now covered in grass and heather. This took place long before the burial mound was protected in law as a Scheduled Monument. 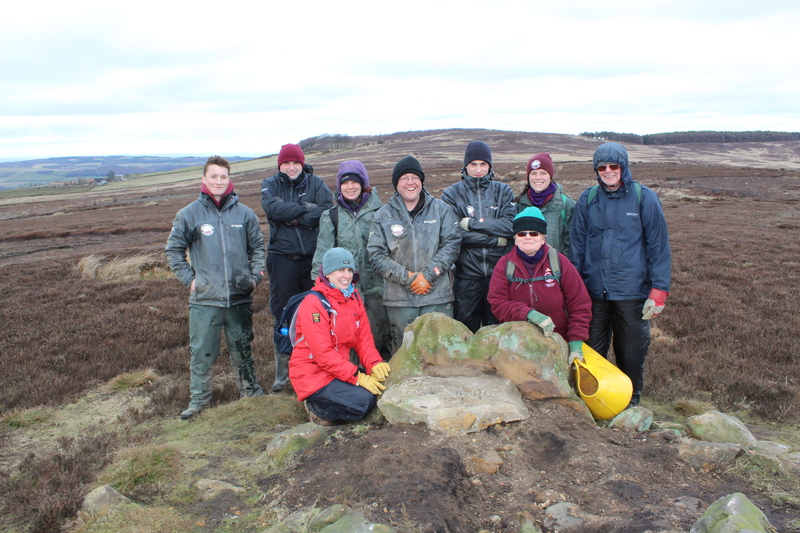 The removal of the walkers’ cairn has left an area of bare ground next to the earthfast standing stone and newly discovered concrete block; this work did not involve any archaeological excavation. We will periodically check the site for changes however if you find any disturbance we would be grateful if you could let us know.